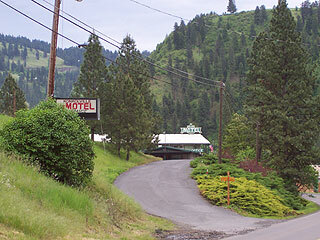 Konkolville Motel is located only three miles from downtown Orofino and the Clearwater River, just off the Lewis and Clark Trail. Nestled in a canyon next to Orofino Creek, the rush of the water or the wind in the pines will lull you to sleep. 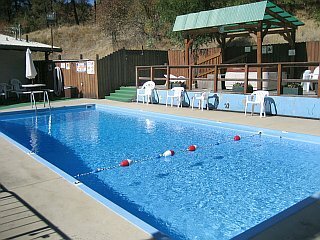 This 40 unit motel offers spacious rooms, a seasonal pool and hot tub along with a continental breakfast. 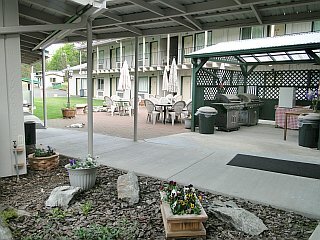 Guests have the option of grilling their own large New York steak dinner to enjoy on the patio or take to their rooms. Includes baked potato and salad for $16.98 per person. For those who enjoy outdoor recreation, the Clearwater Valley offers an abundance of outdoor activities, including golfing, fishing, hunting, skiing, boating, snowmobiling, hiking, and swimming. 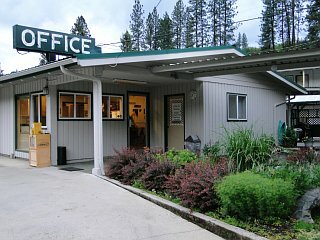 Orofino is the perfect spot for a family vacation - and did we mention that Konkolville Motel is a "pet friendly" motel? Several hiking trails are located behind the motel. Konkolville Motel is family-owned. You will always be greeted with a smile from us after a long day of traveling. We look forward to seeing you and making your trip to this beautiful area a pleasant one! Kids under 10 Stay Free. 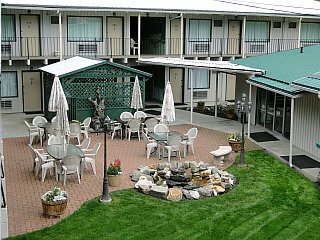 InIdaho has been partnered with Orofino hotels and motels for about 21 years. 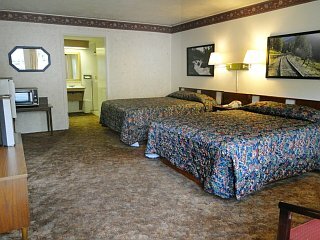 We guarantee the lowest prices for Konkolville Motel reservations. 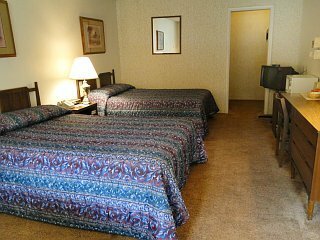 Our local idaho business is staffed by friendly and efficient employees who appreciate that you choose to make your reservations for Konkolville Motel with us. Our rates are always the same or lower as calling the Konkolville Motel direct. 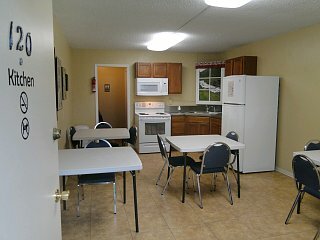 We also offer group rates for Konkolville Motel - just contact us! General Location: Check In: 2600 Michigan Ave. Front desk closes at 9pm (10pm on Fridays and Saturdays) but late arrivals are easy to arrange if you call in advance. Directions: Follow Michigan Ave through downtown Orofino. Motel is 2.6 miles from the Clearwater River. We do not have any current pre-built packages for Konkolville Motel . 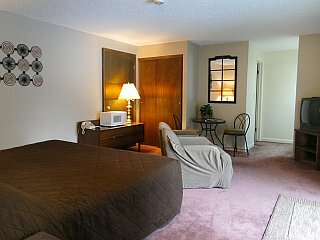 The king suite offers a coffee maker, microwave, refrigerator and Cable TV. This suite also has 24 hour access to the swimming pool and hot tub. This room is tastefully decorated. This guest room offers a coffee maker, microwave, refrigerator and Cable TV. Handicap Accessible - No roll in shower, does have a bench. 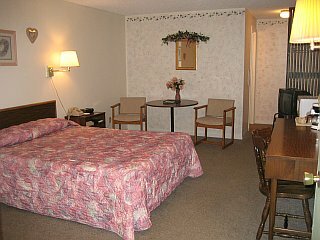 Please note: Guest reviews may mention certain amenities that may no longer be offered with Konkolville Motel. Please check the amenities prior to booking to confirm. "Clean, convenient and staffed with friendly helpful personal. We enjoyed ur stay, and would go again if we travel to the area." "Very clean and comfortable motel, will be back." "Wonderful owners who treat you like family. This motel is a great place to take family. The wildlife is right outside your door. Sit in the hot tub or pool and watch the deer. Rooms are great. Will absolutely stay here again." "The owners are very friendly and go out of their way to make sure you are well taken care of. " 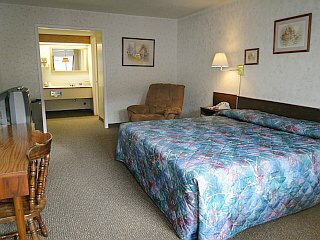 "Very clean rooms and comfortable beds. Nice people and a great steak dinner, had it 2 nights in a row." Cancellation Policy**:(May vary with special rates, packages & online bookings) 24 hours prior to arrival except on holidays and holiday weekends. Check in location: Front desk closes at 9pm (10pm on Fridays and Saturdays) but late arrivals are easy to arrange if you call in advance.